Where most humans go wrong is in avoidance of risk. We let fear control our minds and forget that we are spiritual beings co-creating this physical, human experience. If you truly want to reach your goals, you've to learn how to conquer fear and take your power back. 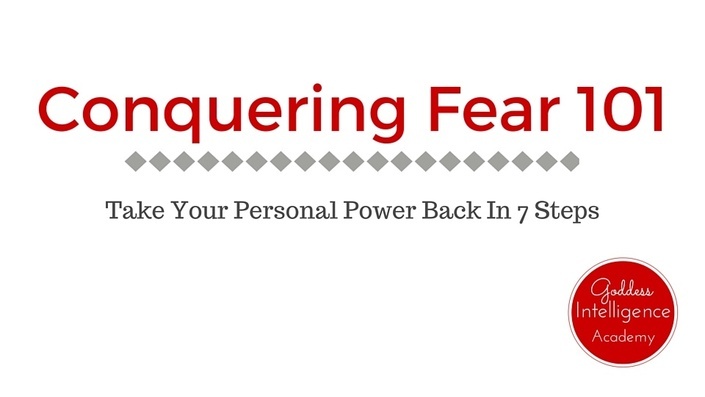 This course will help you understand how fear is working against you and how to turn it into your greatest ally. When your fear pushes you, you'll learn to push back and show it who's boss! Alida is a supercharged unicorn with intuitive powers who spends her days traveling down the rabbit hole. With a focus on calibrating goals with divine action, she's been dubbed the Manifesting Maven by the Food Heals Podcast. Her clients are coaches and female entrepreneurs who are inspired to change the world through soul-centered business.